Thrilled to be a nominee at the 2016 Voice Arts Awards! 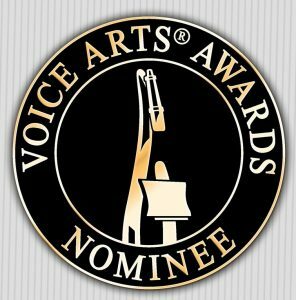 Congratulations to my many friends and colleagues who received nominations today for the 2016 Voice Arts Awards!! I am so excited to learn that I’m also a nominee, alongside a sublime cast (Alex Hyde-White, Gabrielle de Cuir, Joan Baker, Steve Marvel) for Hemingway in Love: His Own Story written by A.E. Hotchner, published by Macmillan Audio and produced by Punch Audio. In this poignant memoir, I had the immense joy of playing Hadley Richardson, Ernest Hemingway’s first wife. To step into Hemingway’s world in the 1920s and learn who this extraordinary woman was, is an experience I will always treasure! Hemingway in Love: His Own Story is available on Audible and at Amazon.com. This entry was posted in Audio Books, Narration, News, Press, Voice and tagged Hemingway in Love; Ernest Hemingway; Hadley Richardson; Macmillan Audio; Punch Audio; 1920s; Voice Arts Awards 2016; SOVA. Bookmark the permalink. ← You, Fascinating You – First Glimpse Inside the Upcoming Audiobook!